Having pets around the house is fun, right? Some people just can’t live without them. The most common pets are cats and dogs which keep us company and give us comfort even when the whole world seems to be against us and cats whose flippant nature makes their love all the more valuable. Though some people find pets a big responsibility, they are really worth all the hustle. 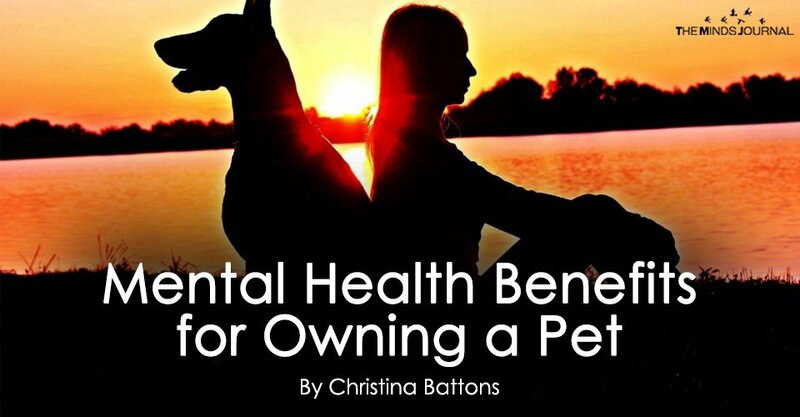 Here are some health benefits that come with owning a pet. When walking your dog along the park or on the road, you get to meet new people along the way. You will also get the chance to talk and interact with other dog owners. When talking to other people you always have an easy and often relatable topic of talking about your pet. If you have guests your pet can make the perfect ice-breaker. Creating relationships is both valuable and hard so any help is appreciated. Walking your dog or playing around with an active cat keeps you physically active. Physical activity is important in a person’s mental health because it reduces stress and chances of depression. People who often walk their dogs have lower body weight and are less likely to visit the doctor. They are also more confident about themselves and about getting outside. Pets are usually around you most of the time, therefore, they offer companionship to their owners. During those lonely moments, you can talk to your pet and tell them exactly how you feel without fear of being judged. Even if they don’t say anything, you feel relieved. Some people cuddle their pets whenever they feel lonely and it is proven to actually help. The notion of having someone who truly cares for you, even if it’s an animal can do wonders for your mental health. Such issues as depression and social anxiety thrive on the constant feeling of loneliness – the feeling that is greatly reduced by having a pet. According to a research carried out by Buffalo University in New York, people with pets reacted less when faced with stressful situations. They also recover faster whenever they are stressed. The stress may be as a result of the job that you have. Pets are a great source of distraction and you will tend to forget what you were going through when your cat or dog plays with you. Dogs, for example, can be trained to take and follow instructions. This means that they understand you. They have also been proven to have feelings, and they also understand the different moods shown by humans. Even if they don’t understand the specific meaning of most words and situations, they do understand the emotions you put in those words. If you are not a fan of keeping journals, your pet might be your solution. Pour out your heart to them. Tell them all the problems you are going through, what you are feeling and simply hug it out. This greatly relieves stress. Christina Battons is an animal lover and journalist based in Dallas. She's currently an editor of All Pets Expert, a website that helps pet owners learn more about animal behaviors, their training, health, food, etc.